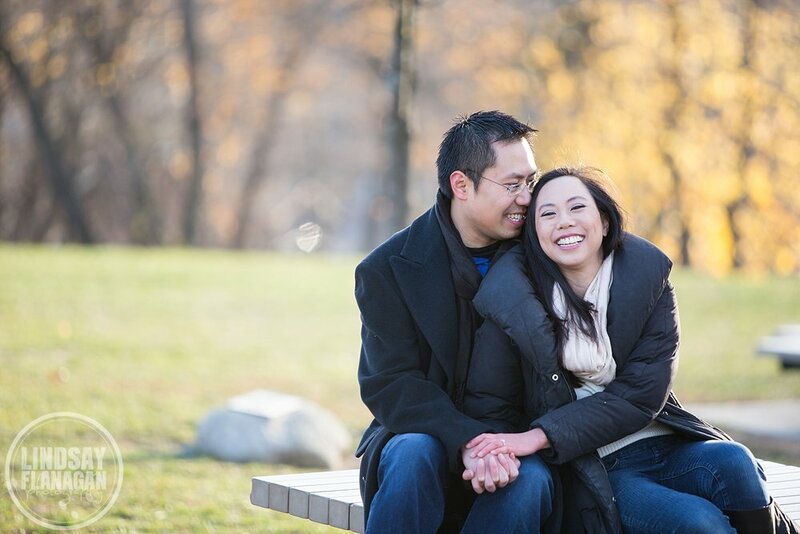 Stephanie and Sam met almost 6 years ago at High Rock Church in Arlington, Massachusetts, where they'll also have their wedding. I met up with them at Robbins Farm Park, which has amazing views and a fun playground. We were there super early in the morning to catch the beautiful sunlight. The neighbors were there with their dogs (there were a bunch of them) so I had Steph and Sam sit on the ground in hopes that the dogs would come up and pose with the couple. It worked and created some amazing images! 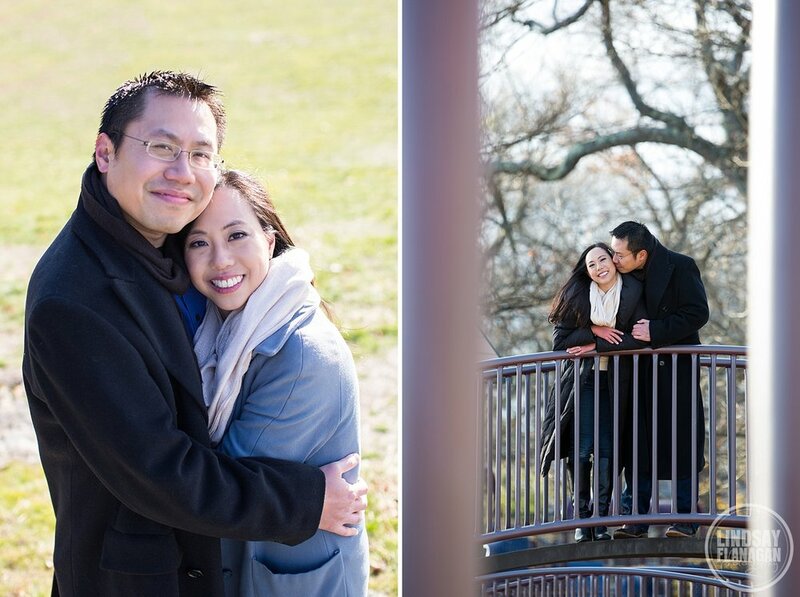 Next up will be Stephanie and Sam's winter wedding at High Rock!